For this issue of Hugi, we decided to interview Jogeir Liljedahl, who is one of the legendary music composers from the Commodore Amiga and the earlier PC days. Among other things, he is the man behind the music disk "Ambrozia" and the CD "The Wanderer". How would you classify your own music? What styles are they in? Most of the time I'm composing after my own mood, and since I'm kind of a hopeless romantic/dramatic/heroic kind of guy, I mostly make some kind of "all-around/easy-listening" music. I have always felt it is important for me to express myself in a simple manner when it comes to my music. My focus-point is the main melody, and then I try to build around that somewhat. It's not easy to classify my own music, much based on the variety of my music through the last 15 years. People have been telling me that I have a "signature" now when making a tune, it's almost like they know it's composed by me, and I guess that's a good compliment to take with me into the future! My greatest passion is probably film-music, soundtracks and instrumental music in general, so in the last years my music have been influenced somewhat I guess, even though I try to keep my very own style, or signature if I may. You've worked in the computer game industry. What have your experiences been like? Since I got my job at Funcom in 1994, I learned a great deal not only about the music itself, but how to implement it so it would fit in any specific scenery too. This may sound easy, but believe me, it's not. I got to work close-up with the gfx-designers, exchanging ideas for different scenes of a game, and I feel that I got a completely new way of looking at things on all areas, not only my music. After I quit at Funcom about one year later, I went back to my hometown to pursue my initial "dream" if you like, and started to make my debut CD. I am working as a freelancer nowadays, and have been doing that for the last 3 years. I make music for commercials, radio, TV and multimedia presentations for profiling companies and such. Beside that, I am also involved with www.shockwave-sound.com, a royalty-free music-store where people can buy music online. What's your formal educational background regarding music? Did you have music education at school, for example? I started to take organ-lessons at the age of 9, but a few years later I got my first Commodore 64, it didn't take me long to drop the organ-lessons and totally embrace the possibilities of my first computer. Since then, it's all been about computers for me. I have thought about taking piano-lessons, and still do. Why haven't you started yet? Lack of time, perhaps? Do you have a piano at home yet? I can't find the time, not yet anyway. But I'm keeping my options open, so we'll see in the nearest future. I really want to do this, mostly because of musical theory, structure and harmony, and of course I hope it will prosper my abilities as a composer in the future. I don't have a piano home yet, and since I'm not used to play on one, I get some practice with my keyboards of course. But it's not the same, mostly because of the weight of the keys. At your homepage, I've read that you're a big movie lover. What are your favourite films and why would you recommend watching them? I am a big movie lover, yes! When I watch a film, I prefer DVD's of course due to the soundtrack, who doesn't want DD5.1 or DTS in their own living room?! :) Eye-candy movies like the Lord of The Rings trilogy, Sin City, Lung Fu Moon (Asian), Underworld (1&2) and much much more. I am also a big trekkie-fan, and have managed to collect all Star Trek series & movies ever made on DVD. What Gene Roddenberry did to the sci-fi lovers is just unbelievable! I'm a fan of many genres, so it is difficult to recommend the films I mentioned above. Just use imdb, and watch some trailers, read a review or two and you get the feel of whether you like it or not I guess. Have you ever participated in a film-music project yourself (or are planning to / dreaming of)? Which of the upcoming new movies seem most interesting for you? Do you still watch the demo scene? If so, what's your opinion about it? What do you think about music and design in demos? How important are they? Of course it's important with design and music in a demo. The visual and musical gives a much stronger impression of the demo presented, at least if they work well together. It's like watching a movie, turn off the sound in a horror-film, and it gets almost funny to watch! Do you also play computer games? What skills do you need in order to become a good music composer? A "good ear" is perhaps the most important thing along with the basics of understanding music generally. If you're generally fond of music, it helps too... A good way to train your ear is to listen to some music like classic/pop or whatever, and try to recreate it. There are probably more things too, such as lessons and theory of course, but you don't have to do it to be a good composer, but it will strengthen your understanding. What would you recommend to somebody new to computer music who wants to become a composer? Get familiar with a music-program, download lots of music from other computer-musicians, hang around forums for help/advice and give it a go! What's it like living in Norway? Do you still own an Amiga? That's nice! What do you think about Power PC? Have you thought about buying such a computer? The music disk "Ambrozia", which featured songs from you, used to be one of the most popular music disks in the scene for several years. What are your feelings about this? Does it make you proud when you see your name or the name of a production you've contributed to in the charts? It's almost ten years ago, so I have to be honest and say I am surprised by the interest! Still it's great that people enjoyed it as much, and it makes me proud of course. The music-disk featured some songs I have made for fun actually, and I remember there was a bit of chaos when it was released. "Celtic Waves" is based on the underwater-music from Donkey Kong Country with a composed twist at the end, same with "Untouched", which is based on a Vangelis song. "Suspiria" was inspired from the Batman-game on the C64, also with a twist here and there. But at that time I wanted to share good music to people from all corners of the scene. I am mostly proud of "Imaginary Voyage" which I used weeks to compose, and I might remake that track for my second album. For when are you planning to release your second album? For about one year ago actually... I'm still working on it, and I set personal deadlines all the time... A deadline is made to be broken I guess... I hope to be finished soon, that's all I can say really. I have uploaded some examples on my official homepage, and more will come when I get around to it. In 1999, you released your first CD "The Wanderer". What/who gave you the idea to produce a CD? I talked with Bjorn Lynne about it, and he said that I really should make a CD, so I did! What effect has the release of the CD had to your professional life? Has it made people even more aware of you? Have you earned a decent amount of money with it or was it more or less "just for fun"? The CD has done me good in many ways. Mostly because of my fans which enjoyed it, but also in professional life! I got some good freelance-jobs because of it too. I earned some good money and I still earn of my debut CD, but not so much because it's over 7 years ago I made it. Have any other CDs with your music been released thus far, or are any CDs planned? I have participated in several other CD-productions, such as "Merregnon", the "Back In Time" series, "Audiophonik" and probably more I can't remember at the time. 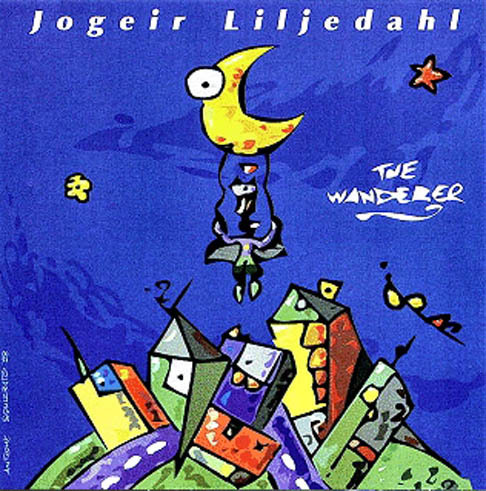 Your CD "The Wanderer" is sold by Bjorn Lynne (aka Dr. Awesome). 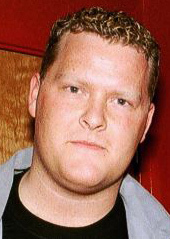 What is your relation to this other well-known Norwegian scene musician? I have known Bjorn from the good'ol Amiga-days, but I think we got good contact when he started to release the AM/FM-magazine which I participated in mostly with musical contributions, but I did also do some musical reviews of games I remember. Since then we have had good contact, and we are still working together on various projects. Do you think it's a special gift to have a "good ear"? I personally usually remember melodies but find it hard to play them on the piano since I'm usually not able to recognize the intervals... Have you trained hard to obtain that or was it just natural for you? I think that a "good ear" is something everyone can learn if they are genuine/serious about their interest of learning. Some people are known to have "no ear for music", so I guess there's no hope for them, but if you're wondering you simply have to try it to find out. When it comes to me, I remember when I started to play organ and listened to tunes on the radio. I trained all the time to be able to play whatever the music I wanted to learn to play, and finally I got it. I guess that's where I started my initial interest for "making" music although it was many years ahead of my first computer-based music. What equipment would you recommend for a computer musician? It all depends on how far you are willing to go, and how serious you are about the subject. If you just want to "play around" and try to make something here and then, you don't need anything else than a computer really. There are many freeware programs out there, mostly based on the original Soundtracker by Karsten Obarski. If you want to try some, I would recommend Milkytracker for the PC. If you are more than interested in music and ready for the "big step" you have to splash some cash! I would recommend a good soundcard with multitrack recording/playback up to 96kHz, a MIDI-interface (to connect more than one synth/keyboard to your PC), some good software like Steinberg Cubase-series, Cakewalk or another MIDI-based music-program. The main difference between a tracker and a midi-sequencing program is that you have to record what you play using MIDI, and with a tracker you can load samples and use your keyboard for making the music which is far more easier for most people. If you have time, you could start using a tracker, and if you feel you have achieved your goal there, go for the MIDI-sequencer. How could computer music be improved technically/musically? And could you perhaps sum up in a few sentences the evolution of computer music technology (how you experienced it)? Well, you have the perfect tool for keeping it all together with a computer, so everything is down to what you make of it. For me it's not "computer music" and "real music" in two different boxes, it's music! I am not the "theory-guy" when it comes to music technology, but since the computers came to life with utilizing MIDI (musical instrument digital interface), it greatly expanded the creative options available. With the use of a PC and instruments (keyboard i.e.) it gave musicians more creative control over their music. The technology itself produced new musical effects and enhanced the musical capabilities and possibilities of a musician. How often do you get "fanmail"? What do people usually write in there? Has there ever been any fanmail/feedback which has made you particularly happy? I get fanmail from time to time, still after all those years actually, and that's always nice! I can't betray my fans by saying what they write to me, but I can say that they appreciate my music. It's a great feeling every time I get positive feedback after I have released a brand new tune and "hope for the best". I remember when I released my debut CD "The Wanderer", a father, 40 years of age said thanks to me for linking him together with his son after listening to my CD. It's something I never will forget. Jogeir's homepage is: http://www.liljedahl-music.com/. Here you can find more information on Jogeir's bio, and download many of his works. Thanks to EP for inspiration.